SPM's high quality race bibs. Available in Bielastic ( CDM ) or Monoelastic ( Race ) These bibs are FIS and other governing body approved. Available in sizes for men, women and children. Club / sponsor logos can be printed front and back along with your required numeration. 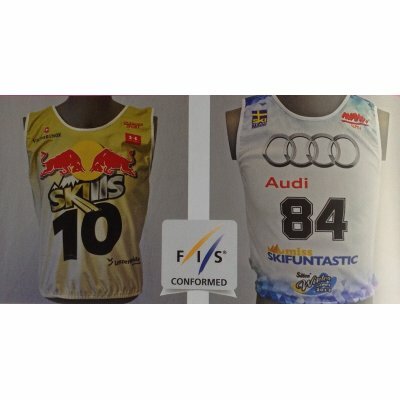 Available for, Alpine, Cross Country, Biathlon, Freestyle, Snowboard, Luge, Ski Jumping and Skeleton. Also available for Gate Judges, Course Crew, Security and Course First Aid workers. Call for your quote.